Cornwall's Crown Jewels! St Ives is the most popular tourist destination in Cornwall and the perfect place to go for a bit of good old-fashioned British seaside tradition. The bay of St Ives has more than it’s fair share of beaches. We recommend Porthminster or Porthmeor for a family day out and water sports, and Porthgwidden or Carbis Bay for a more relaxing day. The main harbour area and beach is bustling – look out for pesky seagulls trying to take a bite out of your pasty! An iconic artists’ town, it's packed with galleries big and small plus a few independent theatres. You could spend a whole day on your own art trail. The September festival has been a celebration of the arts since 1978 and is a great time to visit. St Ives also boasts a superb collection of eateries and shops. Meander it’s narrow, winding streets to find our gorgeous hotspots. It’s advisable to hop on the St Ives scenic branch line at Lelant Saltings to avoid the heavy traffic during peak season. Not just for convenience - the train hugs the coastline providing astounding views! Surf, Stand Up Paddleboard, Kayak and Coasteering activities for all ages and abilities. 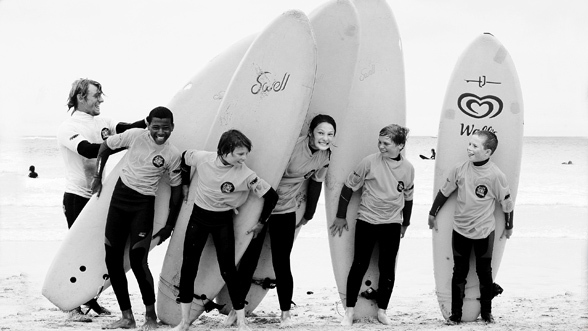 Learn to surf at one of Cornwall’s best surf schools. Beginner and intermediate lessons available from £20 and quality equipment hire from £6. Daily Kayak, Coasteering and Paddleboard activities available from the watersports centre on Porthminster beach. Single and double kayak hire available from £10 per hour. Come and explore St Ives from the sea! Kidz R Us is an award-winning youth theatre company based at St Ives Theatre. An arts charity that celebrates its 24th anniversary in 2018, the group works with around 100 young people a year and has a reputation for producing shows to the highest standard! Cooking is their passion. Their aim in the restaurant is to bring you some of the tastiest home-cooked vegetarian and vegan dishes from around the world, using quality local seasonal ingredients. Located just a mile outside of St Ives, on the ground floor of Coast B & B, the reviewers agree that The Bean Inn is worth going the extra mile for! The only Burger Joint in the UK to be mentioned in the Good Food Guide for over a decade. A little Gem of St Ives. Meat, veggie or vegan.Burgers for people who give a damn! This pub wows people with its stylish take on pub classics and appealing medley of dishes, including vegetarian. Local and sustainable sourcing, green electricity, flagstone floors, summer flowers and cosy winter firesides. Legendary Sunday Roast for £12.50. Sit indoors or outdoors and enjoy a selection of drinks including wine, Cornish beer or cider, soft drinks, coffees, teas; freshly made sandwiches, salads and homemade quiche. Indulge in one of their sumptuous cakes or a cream tea with freshly baked scones. Daily specials. The Yellow Canary is an independent family business established in 1972 and the oldest cafe in St Ives. They serve the best coffee, pastries, Cornish pasties, Cornish Cream Teas and other tasty treats. Located between the shops, Tate Gallery and Porthmeor Beach, The Digey Food Room serves breakfast & lunch all day. Own blend coffee, cream teas and homemade cakes. Deli Counter and luxury food store. Gluten free options, free wifi, dog friendly. The home of St.Ives Liquor Co. A multi-award winning family run gastrobar with spectacular sea views just meters from the beach. Pop in for fantastic local seafood, great cocktails, a signature G n T or just to pick up a bottle of their famous St.Ives Gin. Contemporary arts cafe with a changing programme of exhibitions and events. Serves great coffee, sandwiches, homemade cakes and cool vibes. A great place to meet the locals and experience the real heartbeart of St Ives. A superb selection of award-winning wine, beers and ciders, alongside a dazzling array of the world’s most exquisite and unusual spirits. Whether it’s an artisanal Gin from a local supplier, or a rare barrel-aged vodka created for the Polish president, John’s select only the finest liquors to add to their ever-expanding collection. Barista served coffee, artisan cakes and freshly made lunches offered by Cornish Gems Coffee Lounge. Eat in, take away or call and collect! Get 10% off with one of our maps! Beautiful vegetables and plants, local cheeses, farmhouse breads, meats raised on fine Cornish pastures and fish from clean seas. Meet and talk to the farmers and producers and enjoy a tune or two played by a local musician! A must for locals and visitors alike every Thursday. The most scrumptious handmade chocolates in the West Country! Specialising in personalised Chocograms - large slabs of the finest Belgian chocolate with a picture or personal message of your choice! I Should Coco have been making delIcious chocolate delights for 10 years, but now it’s your turn at Coco Kitchen! Design and decorate your own selection of fresh chocolate treats: learn truffle making, chocolate moulding and decorative work. Perfect for chocolate lovers of all ages: Individuals, groups or parties! The Brewhouse boasts stunning interrupted views of St Ives Harbour and out to St Ives Bay. A simple, locally sourced menu is available to accompany some of their incredible hand crafted real ales. A place of creativity, fun, laughter, tea and cake! Paint pots from £8, take part in weekly workshops and clubs, have a party or simply dine at 54 Lemons. Gorgeous lifestyle boutique focusing on beautiful, original & ethical products to wear and for your home. They've some great British brands and locally produced crafts & jewellery. Driven by a passion for individuality to bring you a unique shopping experience! A friendly , family run business established for over 35 years, selling silver and gemstone jewellery, crystals, fossils, rare and unusual gemstones, tarot cards, essential oils and much more. Card readings and Reiki are available by appointment. 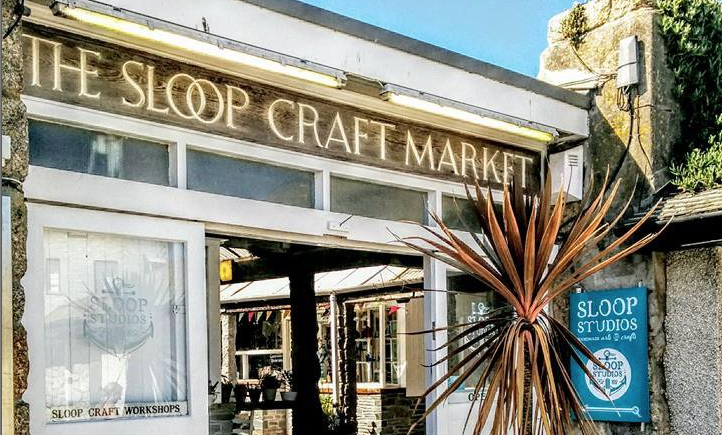 Escape the hustle and bustle and wander through 11 art and craft workshops nestled around a beautiful courtyard. Each workshop makes and sells a range of unique and original hand made items, including; stained glass, ceramics, textiles, paintings, illustrations, children's personalised gifts, jewellery, lampshades, children's clothes and soft furnishings. An award-winning, creative indie toyshop with a difference. Offering quality wooden toys, science kits, craft products, books, quirky gifts and more. Play with the interactive displays! For the kid in all of us. A hidden treasure in an undercover shopping arcade with tourist info. A quirky and unique gallery tucked away in the famous Downalong area of St Ives. 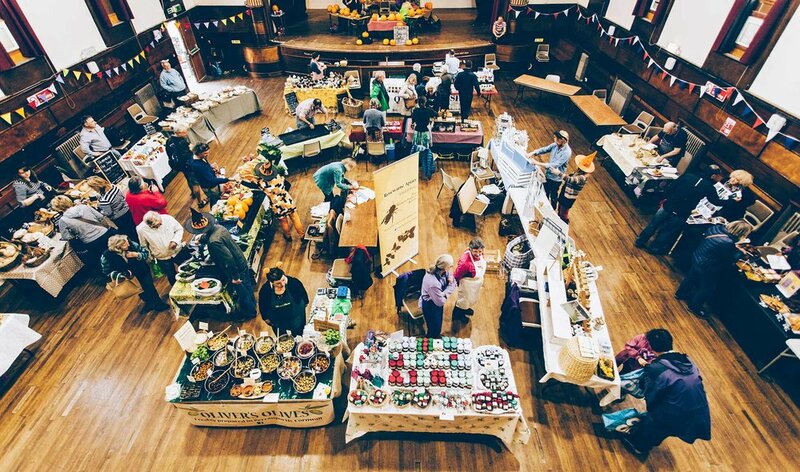 Full of wonderful Arts and Crafts from all over Cornwall to delight and surprise! Characterful animal design pieces, limpet jewellerycollections & seaweed metalwork inspired by local beachcombing. Decorative etched leaves & birds in copper & brass. Unique work by other makers: wooden sculpture, ceramics, glass & textiles. A lifestyle store, with a global feel, Sweetlime offers a selection of home-wares, artwork, gifts and exclusive collections of jewellery, accessories and cushions designed by the owner, Elspeth J. Walker. St Ives longest standing traditional Barbershop. Priding themselves on offering top quality traditional hair cutting, beard work and open razor shaving in an eclectic and relaxed environment. Good Folks barbershop are guaranteed to keep you looking handsome! Vast impressive beaches, all manner of watersports, world class bird-watching.